You have three children - can you tell us what the jump was like going from 1-2 kids and then 2-3 kids? For me going from one child to two was way more of a shock than going from two to three. I think by the time you have your third, you’ve been in a perpetual state of chaos and exhaustion for a while so you’re very used to it! That said it also depends on the baby you get. Poor Georgia had a tricky start with both reflux and colic, whereas Willow hasn’t had either and has thankfully been a good sleeper from the off. I’m up and feeding the baby from about 6 am, before Jago and Georgia bundle into bed from 6:30 am. We bought a super-king before having Willow so we can all enjoy our morning cuddles without it being quite such a squeeze. My husband Jack takes the kids downstairs and starts breakfast whilst I get ready, then our amazing live-in nanny Karla comes down at 8 to help get the children ready for school and tidy the place. We’re all up and out to nursery/school/work before 9, but at the moment I am on maternity leave so our days are a little more flexible. I’ll meet friends with babies for playdates, take the kids to the park, or their swimming, tennis, ballet or football classes and enjoy not rushing quite as much as usual. We head up to do bath and bed from 6ish and I like to have everyone tucked up by 7:30 pm, which is more of a challenge at the moment as the baby needs feeding during this time too, but we’re getting there! 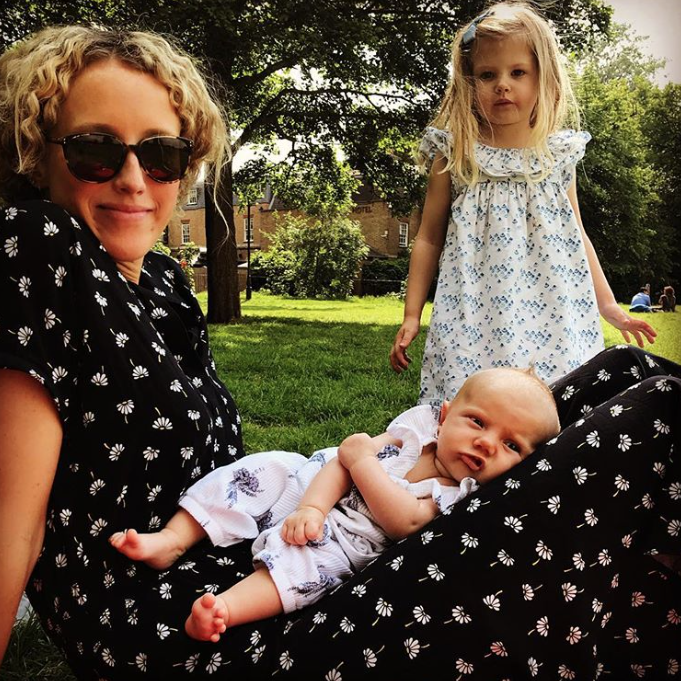 How are you juggling your work as Editor-in-Chief of titles Baby and Little London magazine with being a mother of three small children? I am very fortunate the company I work for, Chelsea Magazines, has been very accommodating and so I work three days a week in the office on the Kings Road, which is a fifteen-minute cycle from home in Battersea. I can also drop the kids at school and nursery before my day starts which is really important to me. Whilst I am working my amazing mum looks after the children one day a week and has done since Jago was tiny. I also have our nanny, Karla who is totally invaluable – the children love her and she looks after the house too, allowing me to focus on my work when I am not at home. Did you take maternity leave with each child? If so, how would you describe that time? I took a year’s maternity leave with Jago and Georgia and am thoroughly enjoying my time with Willow now. It’s such a change of pace for me, I love being able to go and watch the older two children do all their classes and take them on playdates, and I savour those precious few hours in the morning with Willow before I collect the older two from nursery and school. I am so aware these early months are to be treasured and go in a flash, and, especially as I know this is (probably!) my last baby, I am appreciating it even more. Did your attitude towards your career change after you had kids? If so, how? I was always quite career-minded and remember saying to my mum during my first pregnancy that I definitely wanted to go back to work full time after I had my son. She told me to wait and see how I felt, and of course, she was right. 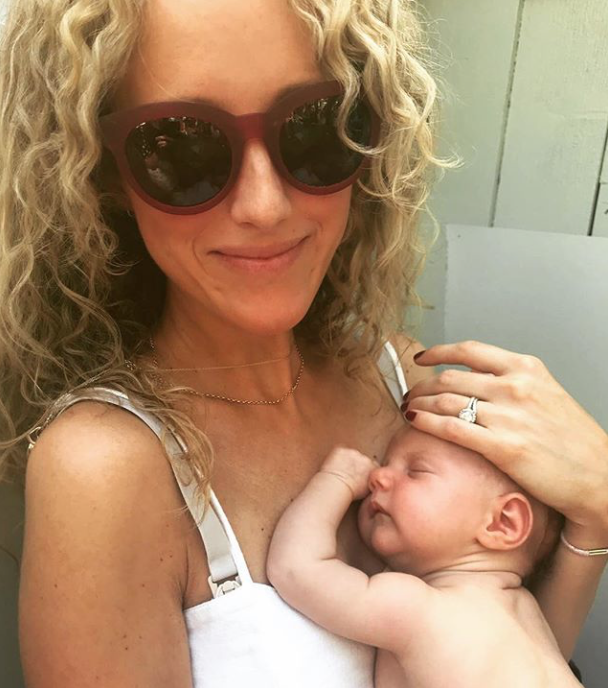 I worked for the Daily Mail for ten years before children which was an incredible experience, but when I went back after maternity leave I realised I didn’t want to be paying someone else to put my baby to bed. I went freelance and have only worked three days a week since, which for me is the perfect balance, and allows me to keep my career but also feel like I’m not missing too many precious moments with my kids. 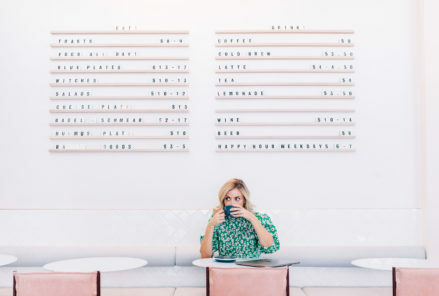 You’re at the helm of a collective of parenting magazines and have three small children - what’s the first thing you do when you get a moment to yourself? I am a Shellac fanatic, so the minute I can, I get a manicure. It sounds ridiculous, but when my nails are done I feel like I’m coping ok! I also love practising yoga, which I am looking forward to getting back to more seriously when I finish breastfeeding and have a little more energy! My parenting style is pretty relaxed but I find my children behave better with a routine; it’s when I get too relaxed the wheels seem to come off! They are pretty good on the whole, but like all kids, they play up so I’m strict when I need to be. I want to be able to take them anywhere and for them to know how to behave so I’m pretty hot on being polite and having good manners, though it’s still very much a work in progress. Has your own childhood influenced the type of mother you are today? My parents divorced when I was two, but I have been blessed with the most extraordinary mother, who has taught me everything about being a mother myself. She is strong, practical, kind and nurturing, and a true inspiration to me. Our childhood was filled with lots of love, laughter and adventures, which is a testament to her. What’s the best piece of advice you could pass on to expecting or new mums about the journey ahead? Try and savour the experience as, the old adage is true and childhood goes in the blink of an eye. Also, don’t be too proud to ask for help when you need it, they say it takes a village to raise a child, and I think the more the merrier. Jago is the Cornish version of James, my father’s name, and as he died when I was a child I wanted to pay tribute to him but with something slightly different. We know a couple of firecracker Georgia’s and always wanted one ourselves, giving her Willow as her middle name as we never expected to have another girl. We then spent the entire third pregnancy looking for a girl’s name we liked as much and ended up coming back to Willow (with Grace as a middle name) as it truly was the name we loved the most. I like that the girls get to share it. How do you handle the more stressful parts of parenting? I try never to raise my voice at the children, though it can be challenging at times. I think I am quite patient, so try to keep a calm head, and always remember my granny’s saying, “this too will pass!” which is so true. 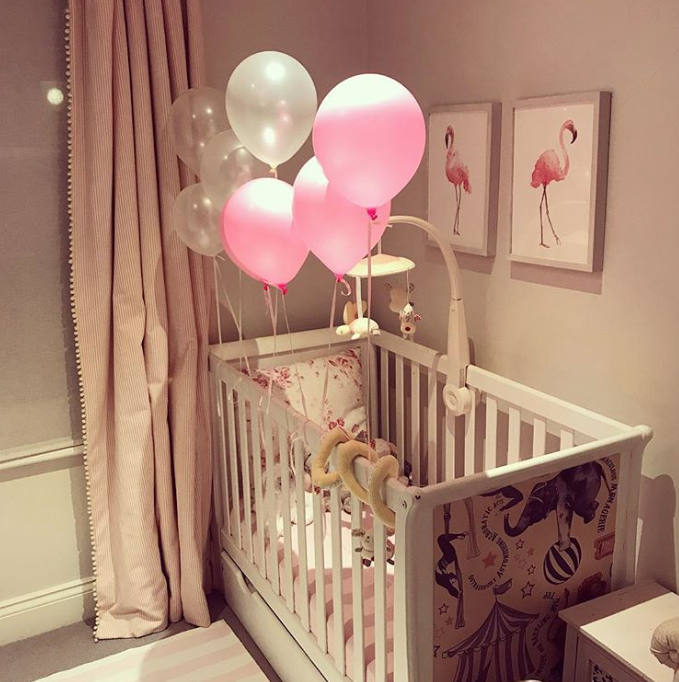 Let’s talk about style - did your personal or home aesthetic change after having kids? At home, I used to be obsessively meticulous and tidy, but since having children I have had to relax otherwise I think the mess would drive me crazy. Our house is light and airy, neutral greys and beiges with splashes of colour in each room. But most importantly it’s practical, with only the drawing room out of bounds to the kids, though of course, that is where they would choose to spend most of their time if given the chance! How would you describe your approach to dressing - considered, practical, on-trend…? 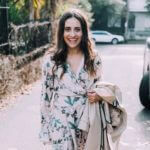 I am always rushing around when I am with the kids, so live in a practical uniform of skinny jeans, cashmere sweaters from Chinti & Parker and my Stan Smith Adidas trainers in winter, and cotton sundresses from Zara or J.Crew in the summer with sandals. When I am working it’s a nice opportunity to dress up a little more. What are some of your favourite brands and stores to shop from? I love Ba&sh, Sezane, Maje and Needle & Thread, and I live in Zara too. What sort of clothes and brands do you love for your kids? 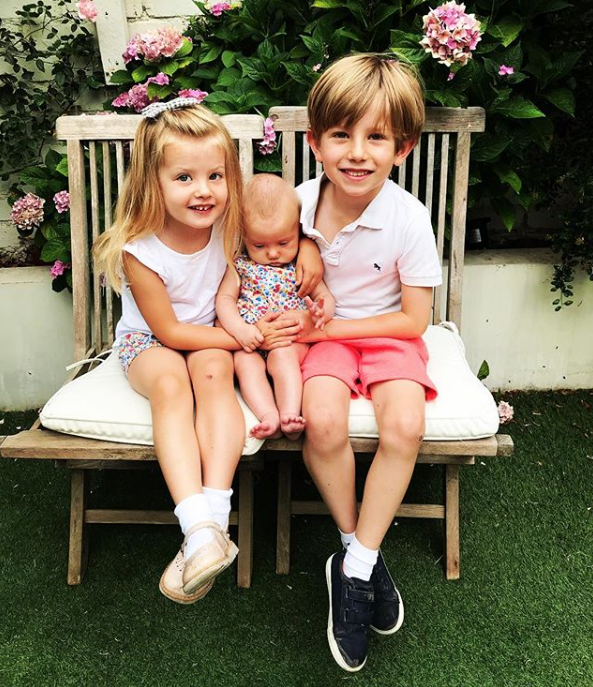 I find shopping for the girls incredibly dangerous, especially as I live off the Northcote Road in Battersea which has my favourite children’s stores – Olivier Baby & Child, La Coqueta and Petit Bateau, and on the high street, our go-to shops are The White Company, Zara and Next. What’s your most used and loved baby gadget and why? The Baby Bjorn bouncer and carrier are invaluable in the early days as well as the Sleepyhead Deluxe, which also helps when moving them into their cot for the first time too. What is your favourite part of motherhood? The unwavering love you feel for your child, and the love they give you in return. The cuddles, the funny things they say and do, I could go on and on! 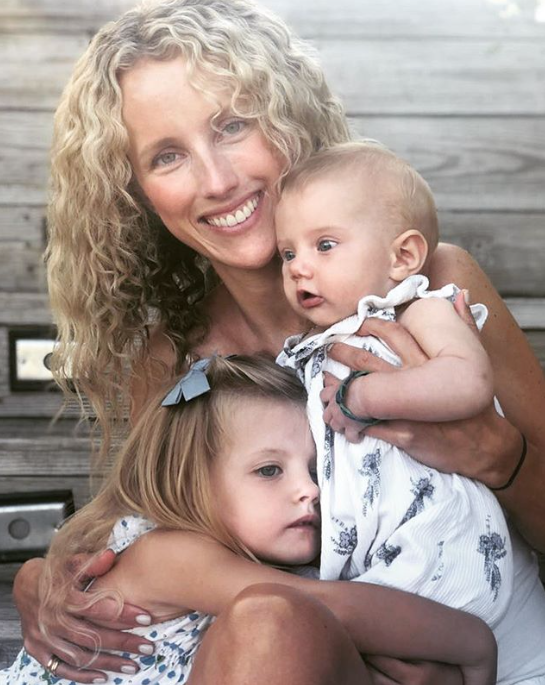 What is your least favourite part of motherhood? The lack of sleep. I can honestly say I am not sure I will ever get used to it, but I have become a fantastic power-napper! Time is the greatest luxury as a mother, so on the rare occasion I have a moment to myself, I meditate, practice yoga, or book an Urban Massage at home. The best, most challenging but rewarding thing I have done in my life. ‘Shotgun’ by George Ezra – my song of the summer. Seeing Jago and Georgia form such a beautiful bond when they aren’t trying to kill one another. ‘The Marvellous Mrs Maisel’ on Netflix. Dairy-free Booja Booja Organic Caramel Pecan Praline Ice Cream. Watching my husband Jack being the most awesome daddy I could have wished for my kids. Dance-offs with the children – Gangnam Style is a favourite in our house! A glass of Whispering Angel rose on a balmy night – what a summer we have had!